Priego De Córdoba, is a stunning town with spectacular architecture located in the Cordoba provence of Andalucia, midway between Córdoba and Granada. The town is part of the Subbética region, encompassing the Subbética Natural Park, which is massively popular with walkers due to the excellent walking trails or rutas and the beautiful mountainous landscape. An interesting town, obviously wealthy, made prosperous from silk, velvet and olive oil. Priego De Córdoba has a huge number of Baroque buildings, especially churches. So much Baroque, particularly when compared to its surrounding area, which has relatively none in comparison. There are some very impressive sights the town, in particular a giant fountain known as the ‘Fuente del Rey’ which spouts water from 139 pipes at one end of the town. There is also a small play area and some huge plane trees in this lovely park, a great place to relax and let the kids run around. From the Fuente del Rey the glamorous Calle Rio leads to the centre of town, on the way you will pass the house museum Zamara, (Zamara was the president of the Second Spanish Republic) enter for a taste of the opulence here. A little further along Calle Rio is the Cafe Rio, serving since 1955, very popular with the local fur-clad matriarchs of Preigo, absolutely fabulous dahling! At the end of Calle Rio is the plaza de la constitution where you will find the town hall and information centre. As Priego is home to the worlds best olive oil, you can see the bottles in a display cabinet here. The olives that we picked form our garden ended up being sent to the large mills in Priego for processing and turning into Olive Oil. 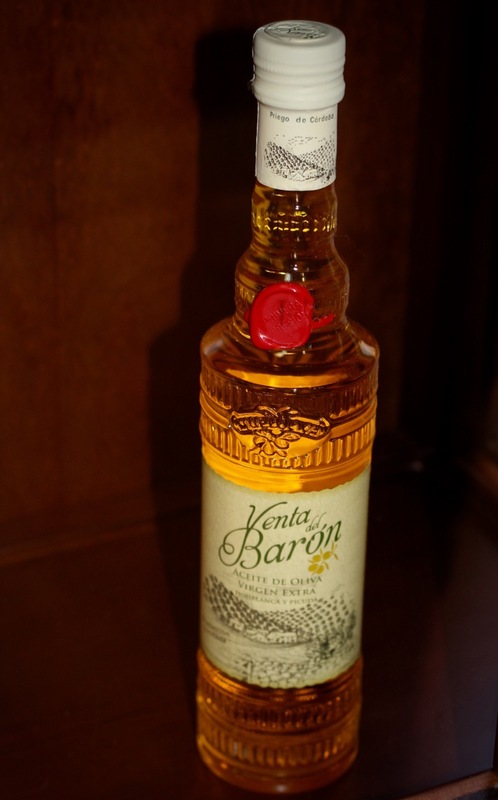 We were then provided with 15 litres of beautiful, rich and tasty Priego de Córdoba extra virgin olive oil, simply delicious! See our post here on harvesting our olives. 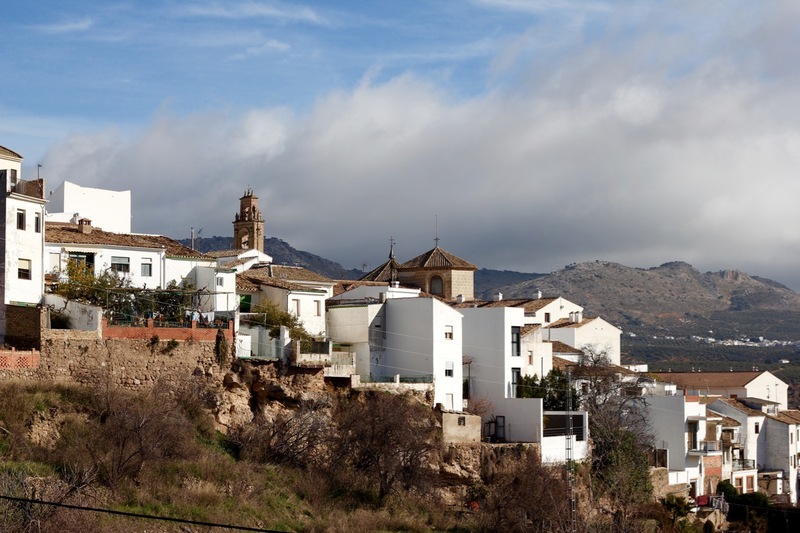 A further two minute walk takes you to the fantastic Barrio de la Villa, the old Moorish quarter of Priego containing the castle, parks, courtyards, churhes and a labyrnth of flower filled streets leading to spectacular views from the Adarve balcony. If you want to see even more Baroque, the sacristy of the Asuncion church here is considered a masterpiece. The town also has a meat market built in the 1570’s and a bull ring. Note: The inside of the castle is currently being restored and is expected to be a lengthy project. A walk around the walls will lead you to some peaceful castle gardens. 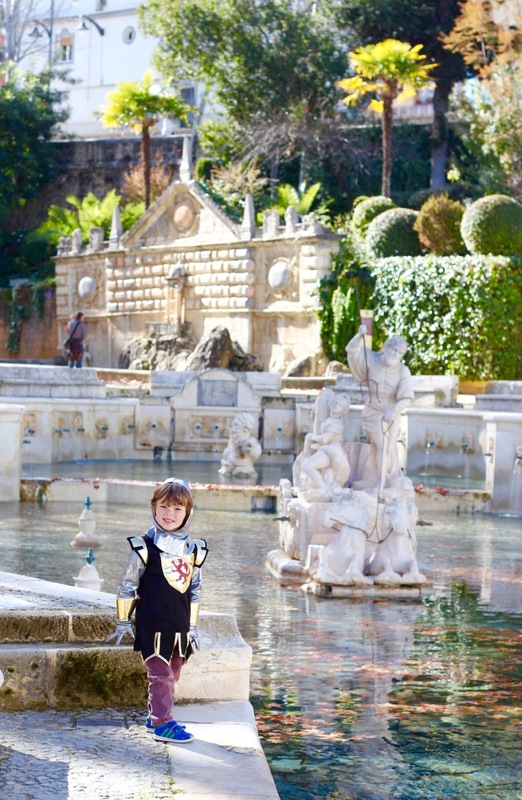 Our boys enjoyed the stone catapult balls by the castle walls and Chaos in particular, he even dressed for the occasion! 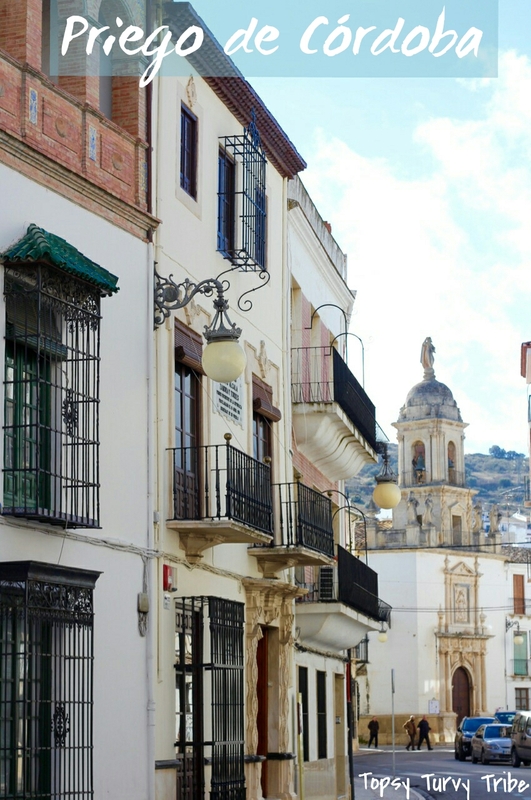 Priego de Córdoba, known as the ‘Baroque Jewel’, visit for the day to explore the town’s old world charms or stay for longer and explore the walking trails of the Subbética Natural Park. I didn’t really realise there were so many parts to Córdoba. It just looks so stunning. It’s only my list of places to go. We may manage it this summer! Cordoba as a province is great, obviously Cordoba but also the Subbeticas, Preigo de Cordoba and the Hornachuelos woods.